The glory of this “horror” film, rooted in psychology, is in the image of the title… we can never escape the inherent influences of family. Toni Collette portrays Annie, the soul of “mother” who is tortured by the events after her mother’s death. The dead matriarch looms as a larger and most devastating figure as the story goes on, and it is Annie who takes the brunt of it. The disease in her family tree is beginning to rot her inner sense of self, and she becomes possessed and obsessed with the trappings of whatever she cannot explain. Pair that creepiness with Milly Shapiro’s daughter Charlie – who has a habit of clucking her tongue – along with Dad Steve (Gabriel Byrne), who in his low keyed “normalcy” could be the oddest character of the bunch, and you have a recipe of ongoing developments. The story has an atmosphere like THE EXORCIST, and son Peter (Alex Wolff) is trapped as the eerie harbinger of doom. Next! HIGHLIGHT: Given its use in the film, the sound of a clucking tongue will chill you forever. All forms of heroism are present in one of the best superhero movies ever made. 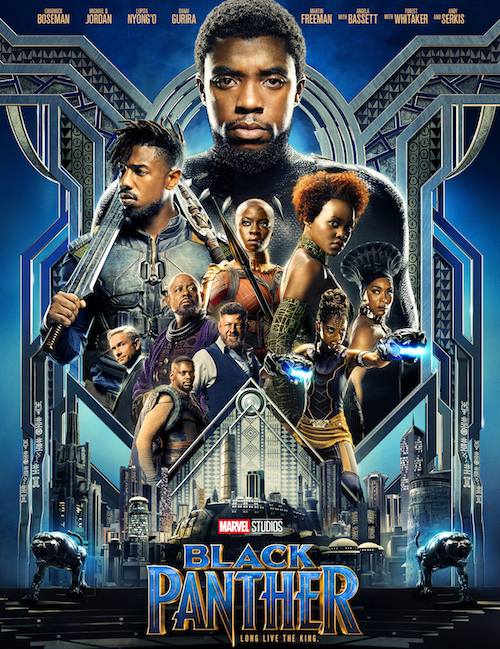 BLACK PANTHER is a multi-layered redemption film about being born black in different circumstances, whether in a fantasy kingdom of Africa or in the mean streets of Oakland, USA. Chadwick Boseman portrays the title character, a superhero prince-who-would-be-king of the fictional utopia called Wakanda, an African nation who has hidden itself from the world and the colonization fate of its neighboring countries. The visionary director Ryan Coogler (CREED) laces the story with commentary on the slave origins of Africans in America and how those chains, literal and symbolic, buried human resources for years. In addition, all the special effects-laden action sequences are accounted for, in a story package that transcends and evolves the comic book genre. HIGHLIGHT: The gender equality of Wakanda also allows for specific statements on women’s roles in society. An extraordinary accidental documentary, organic both in its subject and nature. 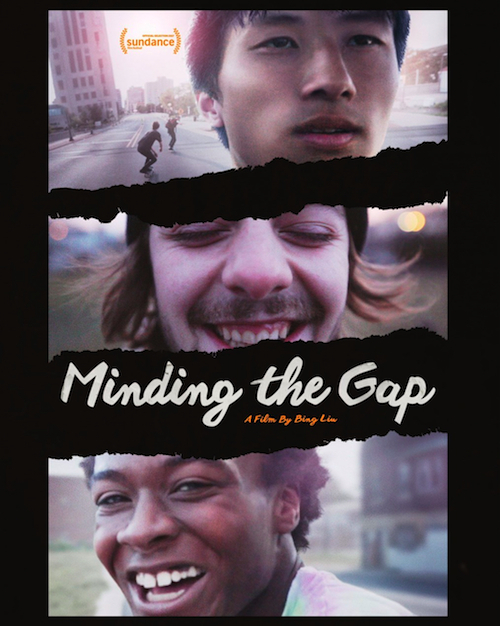 Filmmaker Bing Liu initially sought to understand his skateboard past in Rockford, Illinois. When he began to explore both current and past skater bois, he found a common thread among their history… including his… which became the slowly revealed consequence of the film. GAP never blinks, and the subsequent lives of its featured individuals all suffer and survive through a biography that is based on the timing of birth, family and location. The risk-taking application of skateboarding – that the practitioners love – becomes an empathetic form of salvation. 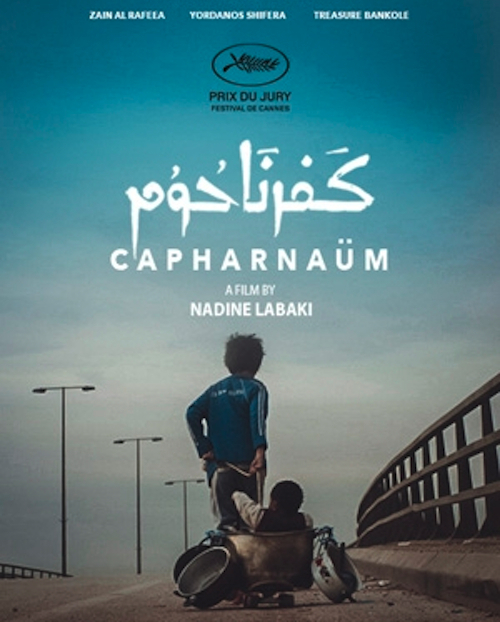 HIGHLIGHT: Zain’s motor-mouthed delivery of Labaki’s script is epic, a literal explosion of vehement truth. There are times, if a filmmaker is lucky and talented enough, where the stars align and their magnum opus can be brought forth from their consciousness, transferred to the page and rendered to film… where that consciousness can be delivered into the soul of the audience. 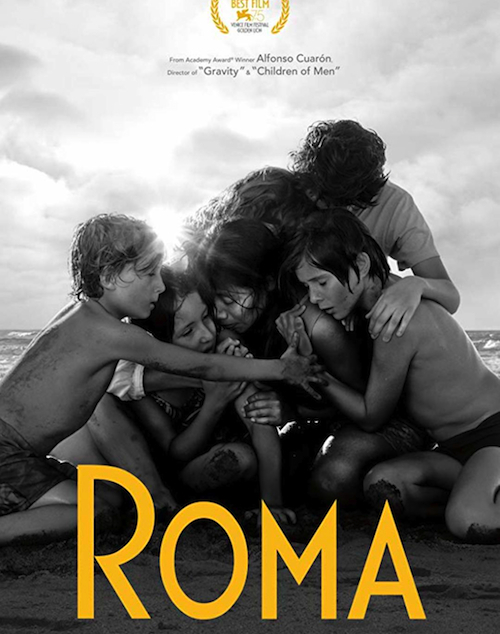 Writer/director Alfonso Cuarón (GRAVITY) got that lucky break and delivered ROMA, a personal story about his childhood and the nature of women to survive the harshness of a bitter world of men. Set in early 1970s Mexico City, ROMA is the neighborhood where an upper middle class family resides with the help of their domestic maid Cleo (Yalitza Aparico). When the father leaves that family, the mother Sofia (Marna de Tavira) must find a way to protect her four children. At the same time Cleo becomes pregnant, and has to save herself. With echoes of Federico Fellini’s 8-1/2, ROMA expresses itself with black&white brilliance, in scenarios that mainly communicate hope. An overwhelming (in a vital way) and soul satisfying experience. HIGHLIGHT: What felt like drowning was the family coming up for air. Click here for the red carpet interviews of Yalitza Aparico and Marina de Tavira of “Roma” at the 54th Chicago International Film Festival, by Jon Lennon Espino of HollywoodChicago.com. To directly access the reviews, interviews and writings of Patrick McDonald, Editor and Film Writer HollywoodChicago.com, click here.